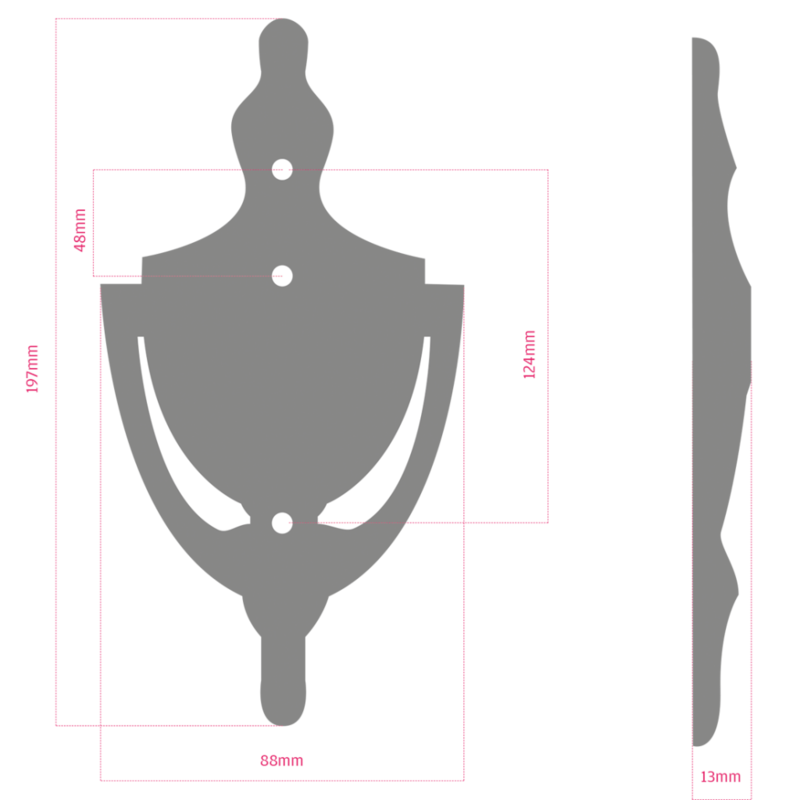 It is no secret that a decorative, ornamental door knocker can really improve and enhance the overall appearance of an entrance door, and add substantial value onto a property. The exquisite 8 inch Victorian Urn Door Knockers from UAP Ltd is ideal for all Composite and wooden doors where there is a larger door face. It has bolt-through fixings, and comes with 2 perfectly-matching solid brass nuts and washers for effective colour co-ordination. 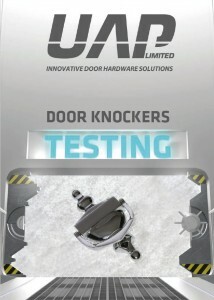 The door knocker is fitted onto the door using revolutionary nylon bolts, which can fit door thicknesses of up to 75mm. They are incredibly easy to cut down to size if needs be-and all you need is a Stanley knife in order to complete this task-so no more sawing. The nylon bolts also do not condensate or rust, which means that your company’s door will look pristine and impressive to your customers for an extended period of time, adding to an excellent customer perception of your company as a whole. 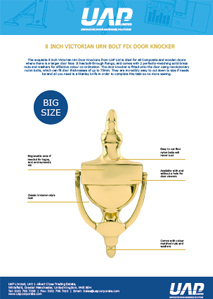 The Bolt fix 8 inch Victorian Urn Door Knockers are available in 5 stunning finishes, each allowing the option to include a hole for a door viewer for extra security and protection. 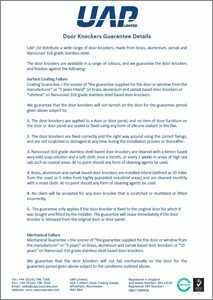 So if you really want to safeguard your customer’s property and make sure that it remains burglar-free all year round then we highly recommend that you invest in door viewers as well as door knockers. The 8 inch Victorian Urn is simple and easy to install; so it is no wonder why Victorian Urns from UAP are proving to be so popular. The 8 inch Victorian door knockers are extremely affordable, without any compromise whatsoever on quality, so you do not even need to spend a fortune in the process in order to obtain door hardware which is of a superior standard.